In an age when time has never been so precious we wanted to celebrate its importance by creating a more beautiful way of representing it. “Tempus” meaning Time in Latin is our new state of the art timepiece collection. 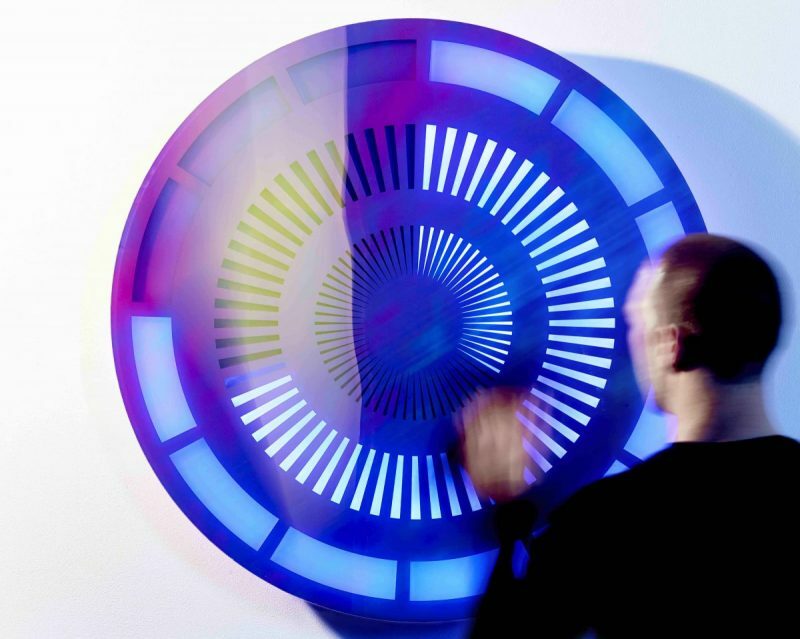 Each piece is primarily a kinetic artwork that doubles as a futuristic clock with out the usual construction methods to represent the time. Tempus uses state of the art digital LED’s that illuminate three different formations of segments in sequence to collectively represent a 12 hour time path. The central ring is the seconds units, once all 60 units illuminate then the first in the minutes ring illuminates. Once all 60 minutes segments illuminate the first hour segment will illuminate and the cycle continues. 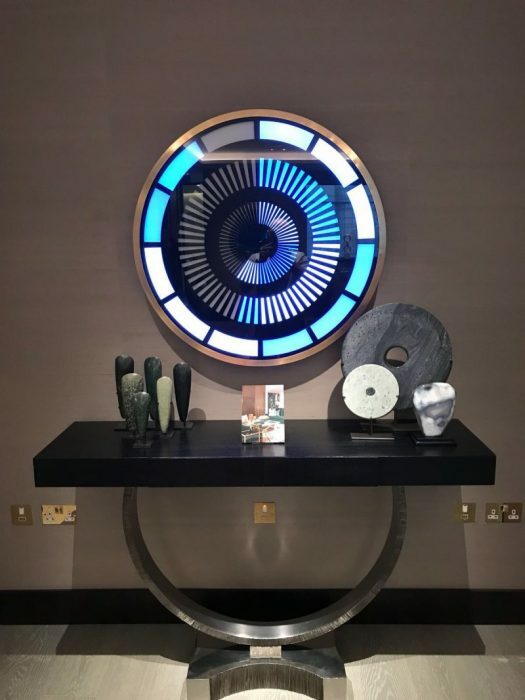 This classic Tempus in circular formation at 910mm diameter is offered as both a wall hung option and floor standing option in a broad range of luxury materials with customisable light patterns and colours. Irridescent fascia with white lighting pattern. Colour matched blue glass fascia with lacquered brass bezel showing our quadrant pattern of blue and white lighting. 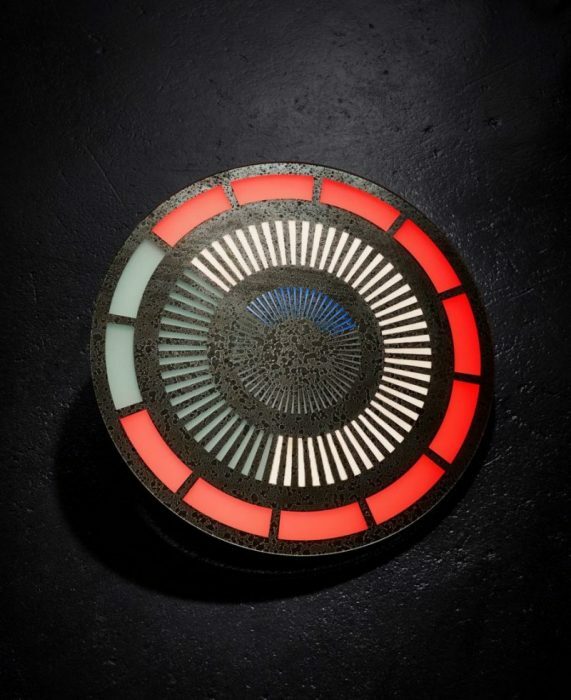 Tempus shown in stainless steel with red lighting. 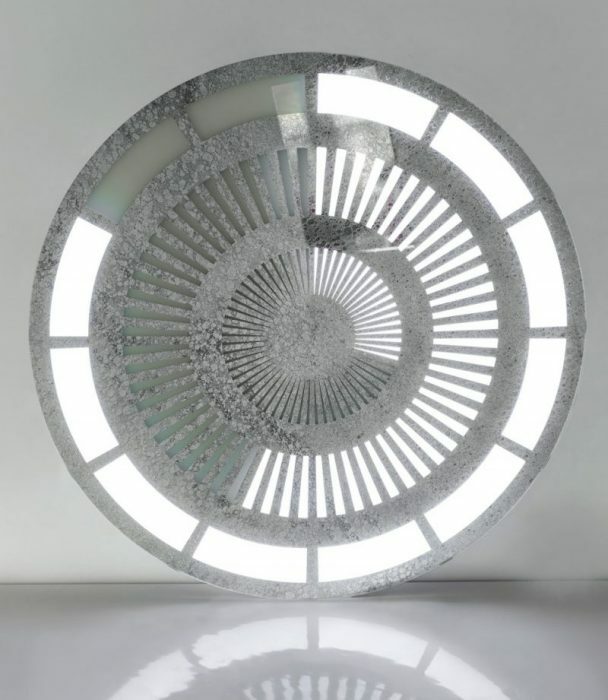 Tempus in white acrylic with blue and gold lighting pattern divided into 5 second, 5 minute and 3 hour time segments. Floor standing design in brushed stainless steel tinted gold with white lighting. Gold stainless steel face with central grain patternation and black chrome nose cone and bezel. White lighting. Tempus in american black walnut with aqua lighting. The entry level design uses a single colour light whilst the premium option allows a fully versatile RGBW colour palette which allows almost infinite colour options and patterns to be created. We can supply 5 patterns as standard with an interface for the user to then change the patterns and colour should they wish at a later stage or to suit the time of year or new decoration its environment. Tempus in wenge veneer with colour matched aqua lighting. A bespoke option is also available on request with specialist finishes, sizes and patterns and additional branding options for commercial purposes. Champagne antique mirror with red, white and blue light programme. Carbon antique mirror fascia with purple light pattern. Silver antique mirror with white light pattern. Shagreen printed and engraved pattern then mirrored with aqua and purple light pattern. Tempus in carbon fibre on floor stand with hours in white light, minutes in blue and seconds in red. Reading time at 10:45.22. 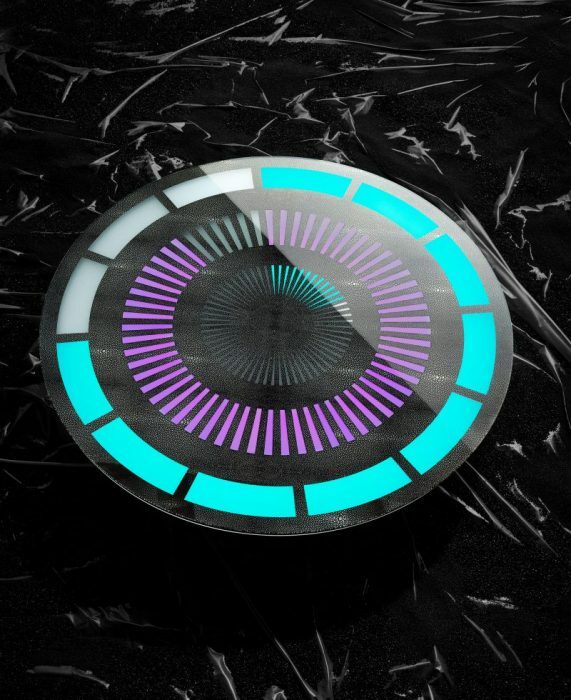 Metal Headz Records clock in carbon fibre with white lighting. Tempus in black stainless steel with red lighting. 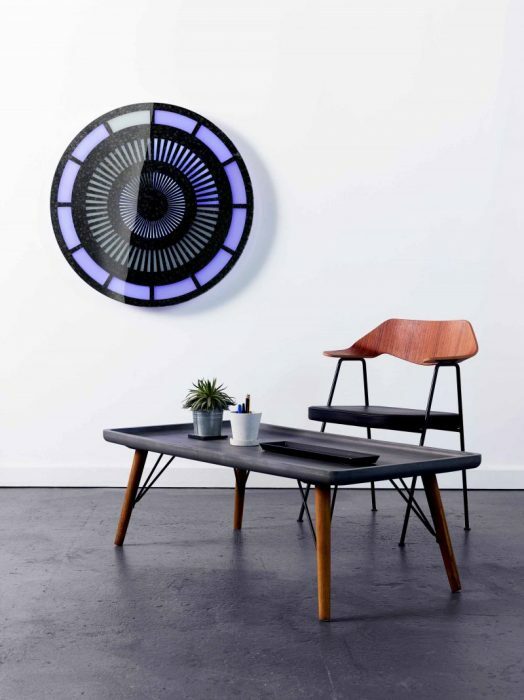 Tempus in wenge on a lighting programme that changes colour to represent the position of the sun at that time of day. The light will be yellow for sunrise and move into orange and red toward the middle of the day and then turn to pink for sun set and purple then blue for night time. Tempus in gloss black acrylic with lime green lighting. Tempus in black corian with yellow lighting. Tempus in carbon fibre with colour matched green lighting. Sign up for our Tempus brochure.